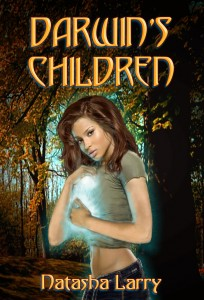 Life can get pretty complicated for any seventeen-year-old girl, but for a home-schooled telepathic black girl trying to survive in a prestigious private school in small-town Jonesborough, Tennessee, it can be maddening – especially when her telepathic father keeps eavesdropping on her thoughts! Jaycie Lerner’s family isn’t the usual mom-dad-kid setup. Her family’s special – in more ways that one. Her mom’s MIA, but Allison, her personal live-in ‘trainer,’ is more than a mom, with her own special abilities, like being able to lift cars and run incredibly fast. And her godfather John can literally convince anyone to do anything. But, as far as the rest of the world’s concerned, Jaycie’s on the outside looking in. The townsfolk love her pediatrician father, but she doesn’t fit in with ‘normal’ kids, and she doesn’t really want to. Most of her free time is spent training to keep her telekinetic and telepathic powers under control. But there’s one thing she can’t control – her feelings, especially when her best friend Matt is nearby. If only he knew what she was truly capable of… Everything seems to be status quo for Jaycie and her family, until she receives a cryptic message from a stranger and meets a very unusual girl new to Jonesborough. Then all hell breaks loose! From the other side of the glass, Mason watched Haylee circle the monster like an aerial hunter while Sasha Gray stood like a statue, waiting. The revulsion Haylee felt was visible in the air around her. Mason had to stop himself from going in there and killing the man himself – his perverted and cowardly thoughts were sickening. Mason watched Haylee’s mouth move. Her eyes were cold and unforgiving. She leaned over the man who’d stolen her very soul and whispered something that filled his face and thoughts with terror. Then silence filled the room. Mason could tell that Haylee had said everything she needed to say. He stuck his head in and met her eyes. Haylee glared him to silence. He already knew she wanted to be there in the room when it happened. He hesitated until he saw the need in her mind. She had to do this her way. It was her battle to fight. He nodded to Sasha Gray and retreated from the room, closing the door behind her. He watched her move with an unsettling grace, like an undead ballerina preparing for the hunt. Her alien blue eyes flashed with thirst. Sasha gave Haylee one last questioning look. Haylee nodded, and Sasha went to her victim. It looked as if the vampire was simply giving him an intimate kiss, but Mason could hear her razor-sharp teeth ripping the flesh away from his neck. Mason had deliberately shut himself off from the man’s mind, but he could still see the utter agony in his eyes. Being burned alive by his own daughter would have been a serene death compared to this. Mason knew the pain accompanying a vampire’s bite was so incomprehensible that the living world held no equivalent to it. No one had even given voice to it. It was the physical equivalent to Haylee’s internal pain. Possibly even worse. The man’s face twisted in agony and, despite his psychic defense, Mason still heard a whisper of the scream inside his head that never escaped his lips. His body offered no relief. The pain was trapped inside. He couldn’t go into shock or pass out. He felt every ounce of his blood being sucked out of him. His organs gave out, one by one, and he quickly went mad from the pain. The dying man looked up at Haylee smiling down at him sadistically. As his body fell to the floor with a dull thud, he finally understood Haylee’s pain. His body was drained, and his life was over.